We support you when it comes to selecting and dimensioning sensors and actuators, including the related Sensor/Actuator-List and make developing a detailed functional description a priority during the planning phase. This ensures that your target objectives are met at the time of production launch. We work with you to precisely fine-tune all relevant organisational measures throughout the project as well as crucial technical information, paving the way for a smooth start-up. Drawing up the entire set of enquiry documents is a time-consuming task – and here, above all, the need for accuracy on every single point (category/detail) is paramount. Feel free to let us handle it! We develop circuit diagrams using the EPLAN 5.70 or EPLAN Electric P8 CAD systems, both of which allow detailed sets of documents for subsequent project phases. The specified performance levels are verified in accordance with EN 13849 using SISTEMA or SET tools on defined interfaces. 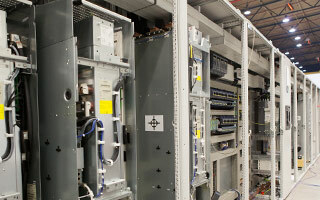 We also plan and deliver switchboards for the North American market. Leveraging the required standards there, we know our field in exhaustive detail, right down to the last relevant aspects: This scope includes the US-American UL standard and the Canadian CSA rules. What people need most is swifter start-up and high production security and we consistently focus on both in every project. 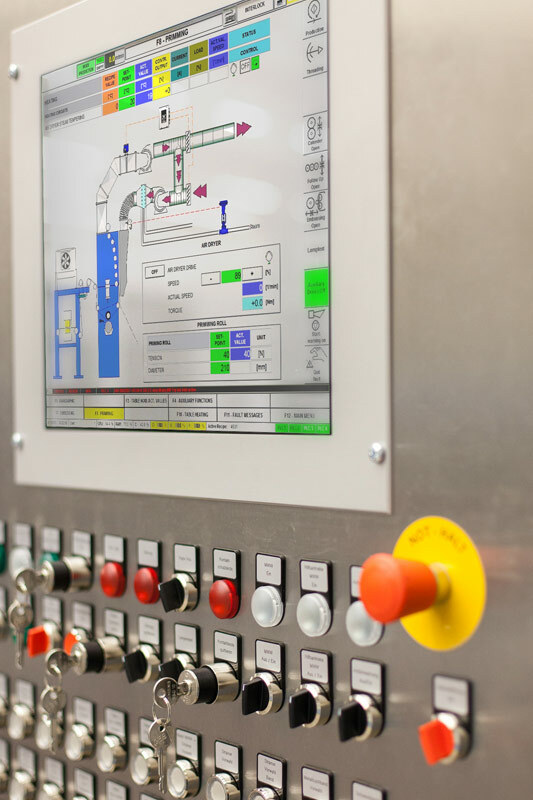 This is why (at an early stage) we prioritise a detailed analysis of your machinery and equipment, which involves our programmers closely collaborating with you to configure the system functions. Key to ensuring the PLC program functions flawlessly is the early focus on clarification in the preliminary stages. 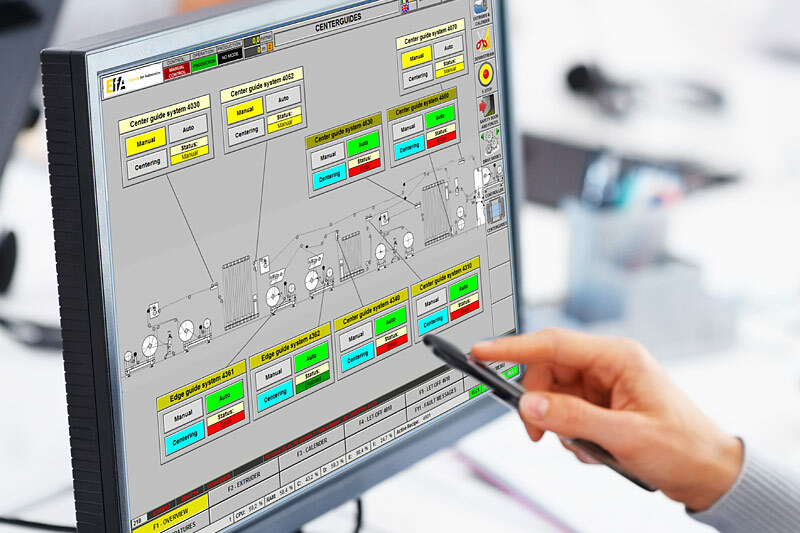 When programming our PLC control systems, we use tried and tested software modules, which have already proved their worth, meaning that the software can be developed for your system economically and above all with optimal quality. In accordance with the specifications of our customers, most components we use come from companies such as SIEMENS (S7), Rockwell (CompactLogix and ControlLogix) or B&R, to name but a few. For particularly innovative projects, we have already compiled the first applications with the new S7-1200 and S7-1500 controllers from SIEMENS, which are programmed via the TIA portal. The way we design the user interfaces directly impacts on production security. To ensure complex operations can be intuitively implemented, we design clear operator guidance for your staff. The process parameters are structured and presented in a clearly visible way, to facilitate easy access to the entry values without any confusion. Fault messages include meaningful guidance, all of which means your staff can respond immediately and in a target-oriented manner. We bring together specific tools to log and process operating data, which maintain and further enhance your product quality. Moreover, the recipe management system even helps slash set-up times. When it comes to the software used to create visualisation systems, you have a choice between a range of SIEMENS products we frequently deploy: WinCC flexible, WinCC or WinCC Comfort (TIA portal). The product from Rockwell, FactoryTalk, has also proved to be useful. We focus on achieving complex drive controls for conveyor systems (plastic films, rubber sheets, textile and steel), which requires concatenated control structures for tension and dancer roll controls as well as winder applications operating at high speeds and low tensions. The products here tend to come from SIEMENS and SEW Eurodrive. We commission certified companies to produce switchboards on our behalf, nurturing collaboration founded on long-term reliable experiences, although we handle all the planning in-house. 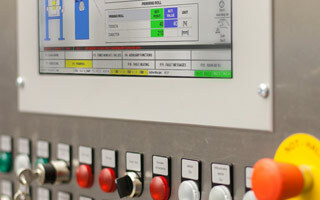 EfA also performs the accompanying quality tests as well as the final switchboard inspection and acceptance. 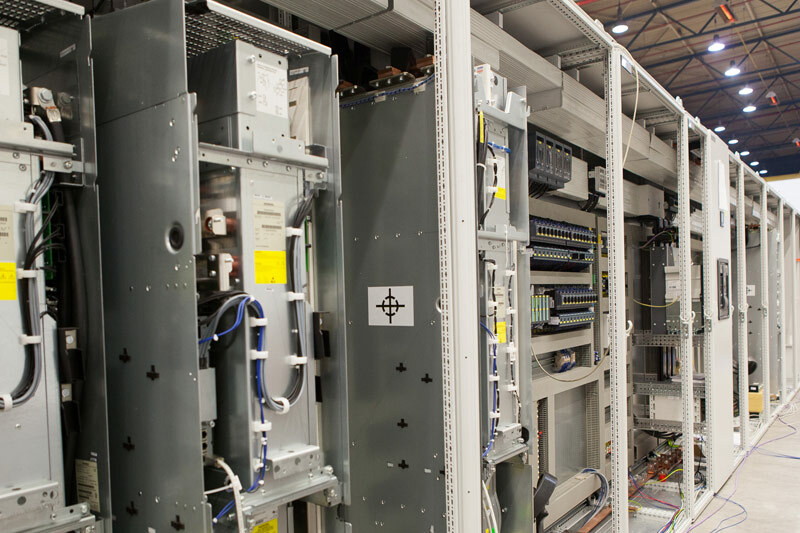 We also plan and produce switchboards for the North American market (USA and Canada) and are completely up to speed on all the relevant data and rules required to handle the same: UL for the USA and CSA for Canada. The delivery is made with a binding UL- or CSA label, eliminating the need for further checking by inspection authorities in the host countries. System cabling is performed by partnering authorised companies with which we have established a bond thanks to years of trusting collaboration. EfA coordinates the procedure and handles all aspects of quality control, while the delivery scope includes complete measurement and test reports. Unless you prefer to handle it yourself, we are more than happy to assign you a supervisor to support you with this work. Start-up is when the quality of our planning comes into its own. A whole range of intensive tests in the run-up underpin our commitment to offer you an accelerated start-up. This also means your system swiftly reaches full availability ahead of schedule! Finally, it goes without saying that our delivery package includes all the required training of the operating and maintenance personnel. Following a successful start-up, we consider it imperative and crucial to guarantee long-term production security for your machinery and equipment, which is why our system support covers the whole service life. 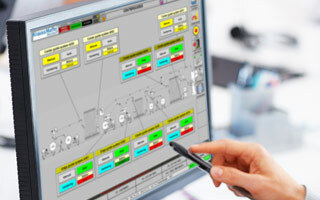 Inevitably, the risk of faults and machine downtime cannot be completely eliminated. The priority here, namely to restore the system to functionality at the earliest opportunity, often requires no more than a phone call to our specialists, while a remote maintenance connection can also be used to swiftly source a solution, however serious the errors which occur. As required, we can immediately organise the shipment of urgently required spare parts or despatch an expert to conduct on-site troubleshooting. Here, getting the system back up and running is our top priority! The scope of our service ranges from the planning and production of new plants as well as retrofitting or expanding existing systems. Moreover, we are happy to handle individual systems as well. 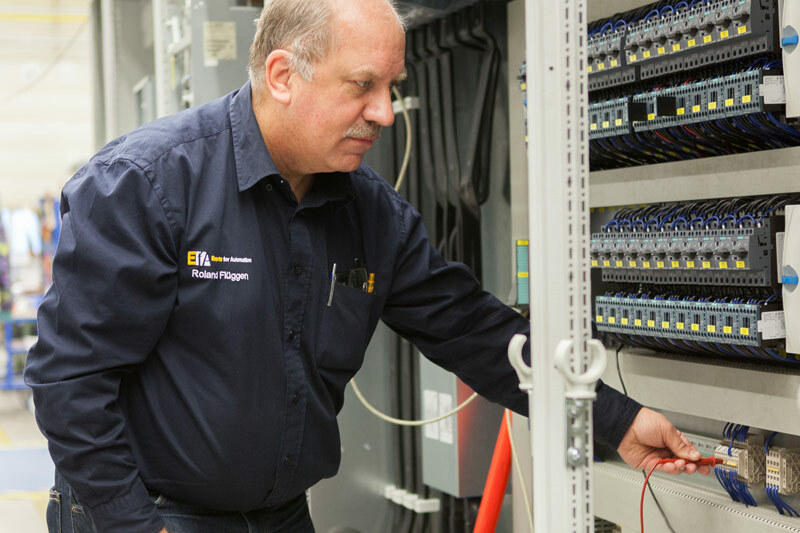 Tap into our know-how to develop electrics, hardware planning, programming, drive control and service.